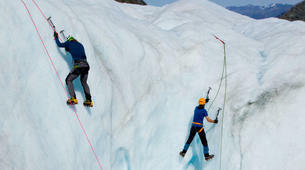 Test your tripoint technique on the white ice of Tasman Glacier on this ice climbing lesson. Hidden in the heart of Mt. 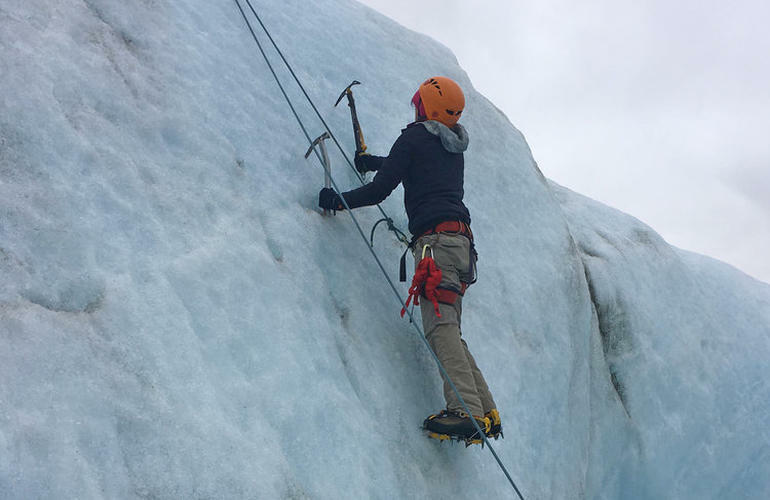 Cook National Park, learn how to ascend the lower 'white ice' zone of the Tasman Glacier – using ice axes and crampons to bite into this ancient ice sheet. A remote landscape only accessible by helicopter - here, the ice forms massive pressure ridges, which offer fantastic climbing opportunities, right through the warmer months. 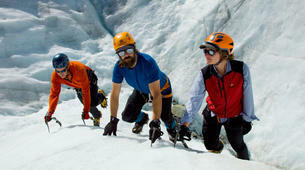 This activity is run from Aoraki/Mt. 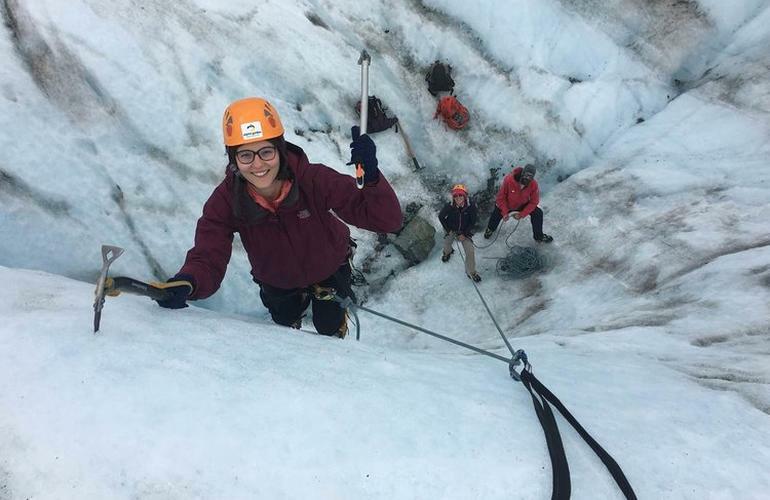 Cook Village and travels to the Tasman Glacier in Mt. Cook National Park by helicopter. A 12-minute helicopter ride from Mt Cook Airport, from the landing site, it is a 15 to 20-minute walk down to your climbing venue. 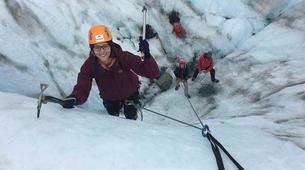 Meet your guide at the activity base for this ice climbing lesson in Mt. Cook National Park. 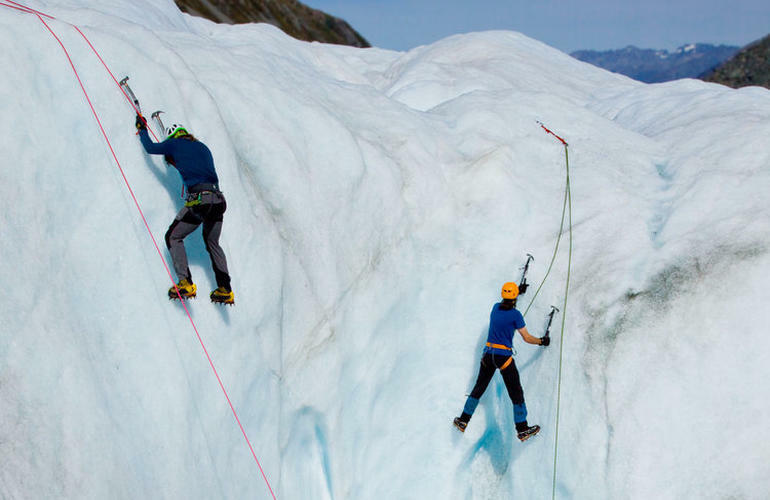 The ideal introduction to this increasingly popular winter sport, learn the basics on New Zealand’s largest glacier – a consistent body of ice in the shadow of Mt. Cook. 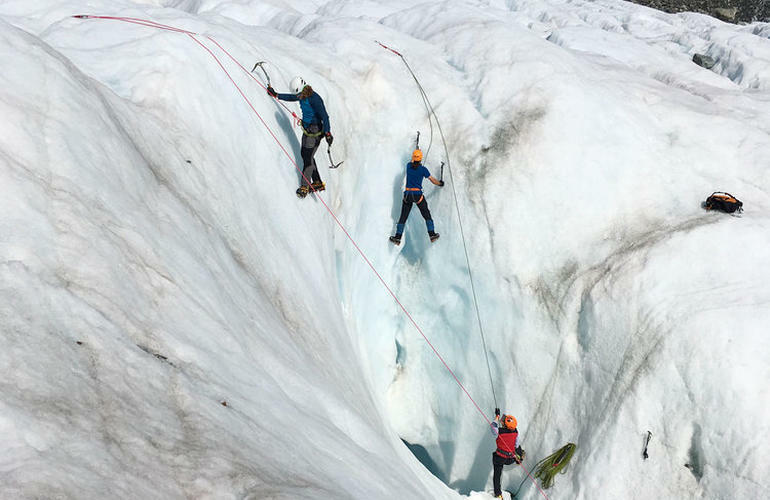 Travelling to the mountain plateau by helicopter, enjoy a short guided hike to the foot of the frozen ridge – accessing some simple pitch climbs suited to beginners. 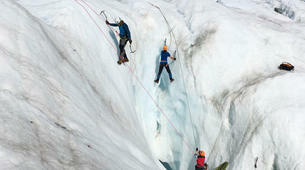 Kitting up with crampons and ice axes, your mountain guide will explain the basics of ice climbing – showing you how to read the ice, test the conditions, plant your equipment and use the signature frontpoint technique. During the course of the day, learn how to navigate a range of candles, walls, slides and gorges – starting from the floor and working your way up to more technical terrain as you improve. After a full day on the glacier, return to the heli point for your return flight to Mt. Cook Village. 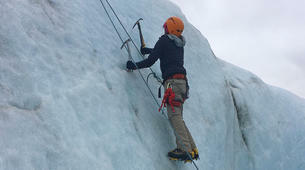 Suitable for adventurous beginners, this activity includes involves climbing on steep ice, using ropes for protection. 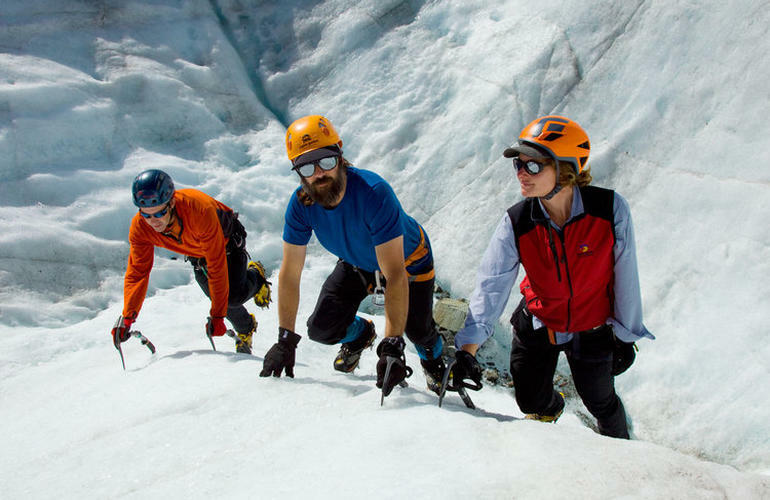 Trekking on uneven terrain with marked vertical gains and descents, late-season conditions allow for more experienced climbers to work on technique.